How Can Our Team and The F.E.R.T.I.L.E. Method® Help You Create Your Dream? Clinical Director Gabriela Rosa, created the F.E.R.T.I.L.E. Method® , to ensure each couple who embarks on our fertility treatment program is comprehensively cared for by a team of highly qualified specialists. Each has the aim, within their own areas of expertise, to guide couples towards becoming the very best version of themselves (physically, emotionally and biochemically), resulting in many benefits for every aspect of life. We place great value and emphasis on teamwork. The fertility journey for so many of our patients has, up until now, been long and tortuous – akin to riding the world’s largest rollercoaster, not knowing when it will end. We believe couples deserve to live their best life now, that no matter what their previous challenges, they can achieve happiness and health while working towards the creation of their healthy baby. This is our driving force. We hold our patients’ hands from beginning to baby. Through our team’s vast experience and formal qualifications in naturopathic and reproductive medicine, and in human genetics, we blend the best of science and self-care for the benefit of our patients. We are ambitious in our goals for every couple we are honoured to serve. Our team invests their individual time, talent and passion wholeheartedly to our patients’ much-desired outcomes, achieving results which testify to our outstanding track record of success. We deliver a world-class service and needed transformation that enables our couples to overcome infertility and miscarriage to take home a healthy baby, even when other treatments have failed. Fact-find – with the help of expertly trained practitioners, couples are guided through a series of very specific physical, emotional and biochemical assessments to discover some of the minor and major factors keeping them infertile. 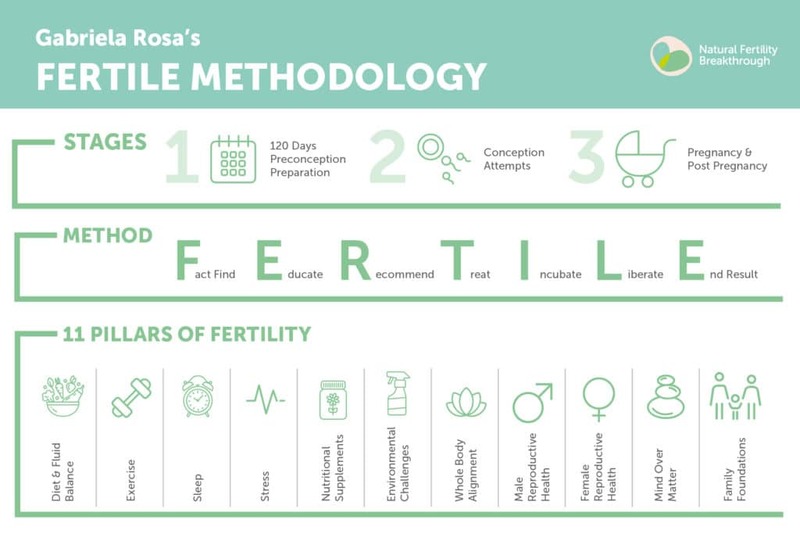 Educate – couples are asked to complete a series of educational worksheets to ensure their complete understanding of their day-to-day lifestyle and environmental and dietary factors, and to introduce self-care strategies to enhance their natural fertility, together with scientific and evidence-based steps to help them overcome infertility and create their healthy baby. Recommend – only once the previous steps have been completed does each couple receive specifically customised recommendations, supported by evidence-based scientific research, and targeted at the factors identified during the fact-finding stage. Treat – we develop and implement a personalised treatment protocol to ensure the best possible result for couples undergoing our process, in the fastest possible timeframe. Incubate – during this part of the process various members of our team support a couple, who will be making their very own important daily contribution, to address as many physical, biochemical and emotional factors as they can in pursuit of the realisation of their dream. Liberate – this is the second most exciting part of our process, where we educate, support, and encourage couples to live the very best version of their lives – right now – regardless of the end of result of this process. End Result – F.E.R.T.I.L.E. wouldn’t be complete without this step, which is cause for celebration, no matter what the outcome. The feedback we hear most often at this stage, irrespective of whether couples achieve the healthy baby of their dreams or the healthiest and best version of themselves, is the relief and happiness they feel about having given it their all and having done their very best for the sake of themselves and their future. If you’d like out team to assess your situation to understand how we may be able to assist you in your specific situation please get in touch. We look forward to holding your hand from beginning to baby. Our patients' success stories are a testimony to our proven track record. Through treatment programs based on the 11 Pillars of Fertility Foundations™ (the underlying basis of the F.E.R.T.I.L.E. Method®), we have helped thousands of couples, many of which conceived and delivered healthy babies after they had been told by their previously treating specialists that they likely would never do so. The integrative and holistic fertility treatment we deliver uses a blend of therapies that combine the best of Eastern and Western expertise to help you heal and strengthen your body and reproductive system. In addition to our systematic and methodical investigative and comprehensive treatment approach, the 11 Pillars of Fertility Foundations™ is one of the main reasons, that we are able to repeatedly help couples (and individuals) overcome infertility and miscarriage, even when other treatments have failed. 11 Pillars of Fertility are the foundation of every fertility treatment program we offer and the path to success for many couples who want to get pregnant. The 11 Pillars of Fertility are why as a practice, we so consistently deliver successful natural fertility treatment, even when all other treatments have failed. These important pillars categorize the areas within one’s personal environment, lifestyle factors, general health and more, which can, directly and indirectly, affect human reproduction. Our programs may require further, thorough biochemical investigations as well as dramatic lifestyle changes because what my patients have taught me is that overcoming infertility and recurrent miscarriage is most effective through a comprehensive, holistic journey, which addresses all fertility factors. Our fertility treatment programs provide a new way to view you and your partner's body, offering a proven, step by step methodology and effective strategies to support you in restoring your system closer to balance and health, thus naturally maximizing fertility for a healthy conception. A great metaphor for overcoming fertility challenges through by applying the 11 Pillars of Fertility Foundations ™, is that of the gardener who whilst exerting great effort, must also exercise great patience. Hence why this is so much more than a fertility program - and it is also not just for couples who wish to overcome infertility and miscarriage. 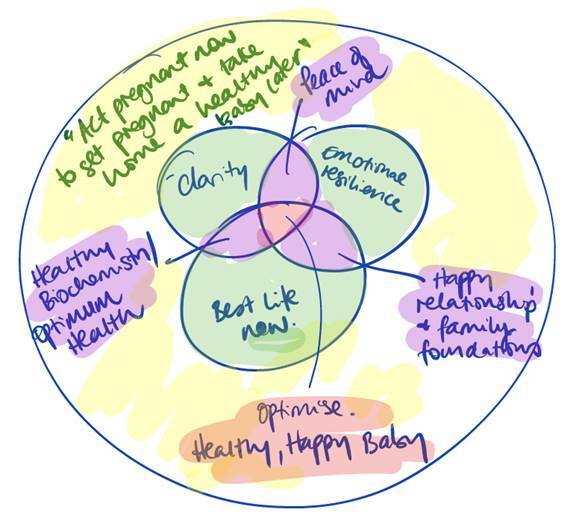 Our process is an essential toolkit for anyone who wishes to become the very best version of themselves, whilst preparing for the healthiest conception and baby, as well. One of the elemental concepts to enable couples to overcome fertility issues is the process of acting pregnant now to get pregnant later, applied to both prospective parents for at least 120 days. If you want a child now, you need at least 120 days to start preparing your bodies, this pre-conception preparation is your foundation for future success. The quality of the egg and sperm today is the reflection of everything that was happening in your life and immediate environment over the previous 4 months. Your complete health picture during that time – including nutrition, stress levels, blood oxygenation, hormone levels, emotions and other factors – affect the quality of your fertility in the current month. As prospective parents, the opportunity to make significant improvements to your fertility and your child’s future health exists in the months prior to pregnancy. 120 days is the minimum amount of time that it takes for the egg to mature and the sperm to form. This is the time to optimise your child’s future health, giving him or her the best possible start in life. For this reason, and irrespective of your age or pre-existing circumstances, in order to give you and your partner’s bodies the best ability to heal and produce the results you so lovingly desire, we support and encourage you to follow the treatment program guidelines and recommendations as closely as possible. Scientific research shows this will dramatically improve your chances of a natural conception taking place, and some studies report as much as an 81% increase. As a further result, of your complete fertility and health re-alignment, IF required assisted reproductive methods like IVF are 47.1% more likely to be successful when you are as balanced and naturally fertile as possible. In light of it all, what is a mere 120 days of preparation in order to begin being truly ready to welcome your healthy baby into your arms and into the world?